Note: this blog post is available in PDF form. What will the future look like? How would our lifestyles change with time, discoveries, and inventions? Most importantly of all, will we be able to design intelligence on par with our own? Will we be able to craft artificial creatures that are indistinguishable from actual humans? Will we be able to create our equals? What then? These questions have haunted philosophers, thinkers, sci-fi writers and aficionados, students, their professors, and everyday wonderers for centuries. Let’s get this one out of the way quickly – of course, there are no answers. Everything that follows is merely speculation, but speculation that is exciting and somewhat promising of an actual realization. Your search engine provides you with relevant results. It lists everything out by popularity and usefulness and relevance and web history. It provides suggestions. It recommends restaurants and local car dealers. It links news and blogs and Twitter feeds. The Argument Search Engine (ASE) is a search engine that provides you not with relevant arguments, but with relevant counter-arguments. It is an engine that tries to disprove your search phrase, criticise it, and propose alternate theories. The ASE challenges your point of view and promotes freedom of thought. It is even more fascinating to consider what such research may eventually lead to. Cranes, tractors, and other vehicles are common in construction today. However, all the modern methods are incredibly labor-intensive and require long periods of time. So why not use robots? Larger-scale robotic quadrocopters (most likely paired with robotic vehicles of various other specialisations), were some limitations overcome, would be able to work rapidly, efficiently, and literally non-stop. Such an operation would require minimal human supervision, would (theoretically) be faultless, and save money in all aspects. So with a bit of hopeful thinking, such a building method could be deployed in the construction of tomorrow’s metropolis. Furthermore, it may be ideal for the military – swarms of autonomous quadrocopters could land ahead of the ground forces, analyse some pre-prepared architectural plan, modify it in respect to the surrounding landscape, use it to throw together a temporary barracks in record time, and leave with no threat to human life. Perhaps DARPA should take a look. Meanwhile, the rest of us can wait for the technology to trickle down, and hope that the intelligent, rotor blade-slashing, self-stabilising flying helicopters don’t one day turn against us. One thing that is always fun to do in programming is to set up a basic particle system framework, and then experiment as wildly as you wish: spawn particles, add velocity, implement gravity. Finally, simply sit back and watch them fly. This is where I began with ‘Gravitoids’, one of my earliest projects in Processing. 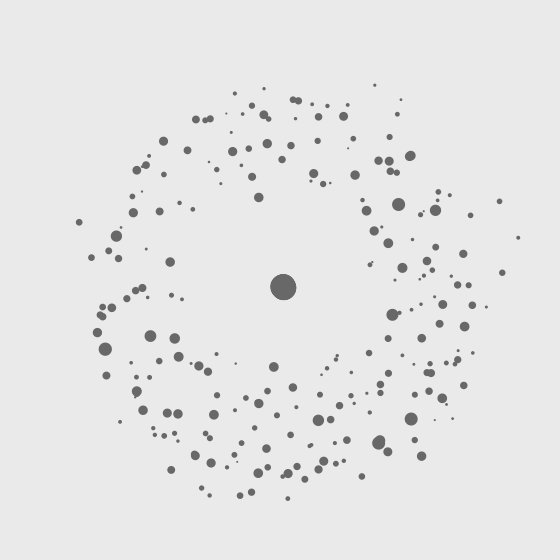 I wanted to create a 2D particle system made up of planet-like circles that spin, attract, and collide. Ultimately, I hoped to initiate a Big Bang-esque situation at the program’s start-up that, through passive interaction, would lead to particle organisations similar to those of the planets in our universe. Say hello to the original Nintendo Game Boy. That in itself is exciting. However, what makes this device exceptional is the casing. Look at it! Clear and transparent, exposing all the beautiful electronic wizardry inside this 1989 gadget. Yes, the inside easily gets filled with dust. The plastic cracks and gets dirty. 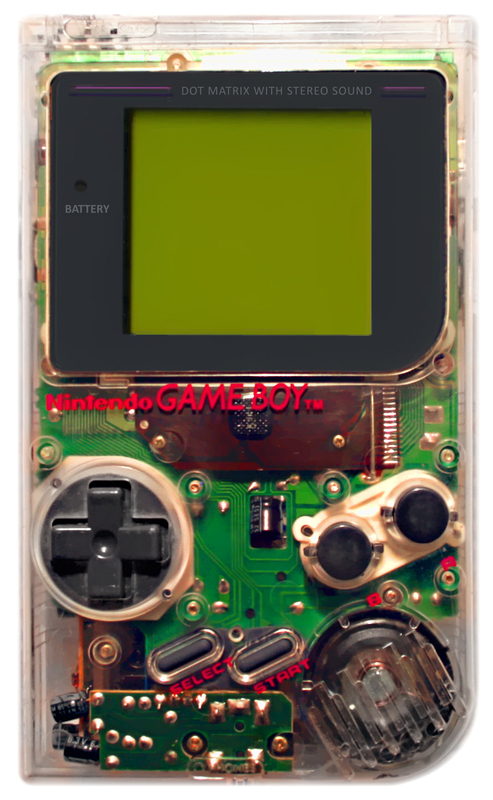 But that does not diminish the fact that for most kids and adults alike, such transparent casing is incredibly cool. Not only can you see everything inside, but you have an earnest sense of excitement using the device; you can almost feel the gears churning inside, tingling your fingers, responding. Launch Zero is a blog about technology, programming, concepts, the world around us, and all that other stuff.